Microbial community composition and metabolic potential have been explored in petroleum-hydrocarbon-contaminated sludge of an oil storage facility. Culture-independent clone library-based 16S rRNA gene analyses revealed that the bacterial community within the sludge was dominated by the members of β-Proteobacteria (35 %), followed by Firmicutes (13 %), δ-Proteobacteria (11 %), Bacteroidetes (10 %), Acidobacteria (6 %), α-Proteobacteria (3 %), Lentisphaerae (2 %), Spirochaetes (2 %), and unclassified bacteria (5 %), whereas the archaeal community was composed of Thermoprotei (54 %), Methanocellales (33 %), Methanosarcinales/Methanosaeta (8 %) and Methanoculleus (1 %) members. Methyl coenzyme M reductase A (mcrA) gene (a functional biomarker) analyses also revealed predominance of hydrogenotrophic, methanogenic Archaea (Methanocellales, Methanobacteriales and Methanoculleus members) over acetoclastic methanogens (Methanosarcinales members). In order to explore the cultivable bacterial population, a total of 28 resident strains were identified and characterized in terms of their physiological and metabolic capabilities. Most of these could be taxonomically affiliated to the members of the genera Bacillus, Paenibacillus, Micrococcus, Brachybacterium, Aerococcus, and Zimmermannella, while two strains were identified as Pseudomonas and Pseudoxanthomonas. Metabolic profiling exhibited that majority of these isolates were capable of growing in presence of a variety of petroleum hydrocarbons as sole source of carbon, tolerating different heavy metals at higher concentrations (≥1 mM) and producing biosurfactant during growth. Many strains could grow under a wide range of pH, temperature, or salinity as well as under anaerobic conditions in the presence of different electron acceptors and donors in the growth medium. Correlation between the isolates and their metabolic properties was estimated by the unweighted pair group method with arithmetic mean (UPGMA) analysis. 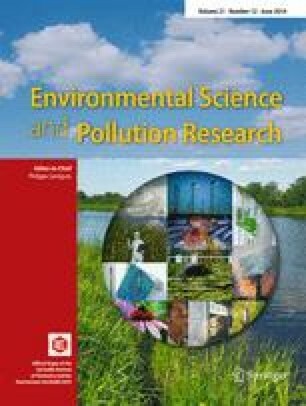 Overall observation indicated the presence of diverse groups of microorganisms including hydrocarbonoclastic, nitrate reducing, sulphate reducing, fermentative, syntrophic, methanogenic and methane-oxidizing bacteria and Archaea within the sludge community, which can be exploited for in situ bioremediation of the oily sludge. This work was financially supported by the Department of Science and Technology, Government of India under Fast Track Project for Young Scientist scheme (SR/FT//LS-078/2008). The authors gratefully acknowledge the support for obtaining oily sludge sample from Bharat Petroleum Corporation Limited, Rajbandh (TOP), Durgapur, West Bengal, India. The authors are thankful to Dr. Pinaki Sar, Department of Biotechnology, Indian Institute of Technology Kharagpur, for his critical comments on the manuscript.